I was really amazed with the results of these skin care products on my office mate’s skin that it made me decide to try it on myself. Due to stress at work and lack of sleep at night, I get those little pimples on my face that I can’t get rid off. Even though I wash my face with water and facial scrub, the acne marks doesn’t stay away. I hate how it stays my face because those dark spots are contributing to my low self-esteem. I don’t go to work without putting powders, CC Cream, or foundation to conceal the dark spots I have on my face, and using this one is a challenge since I am powder-deprived for a month. But hooray for this Rejuvenating Set, I’m out to flaunt my bare face skin without anything to conceal the marks on my face anymore! 1. 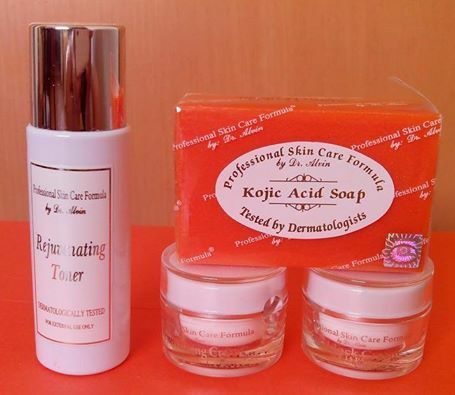 Use the Kojic Soap to wash your face. 2. Next, use to toner with little amounts, to cleanse your face. 3. Use the Bleaching Cream at Night before you go to bed. 4. Repeat from Step 1 & 2, and during day, use the Sunblock Cream. I love the sweet scent of the soap. 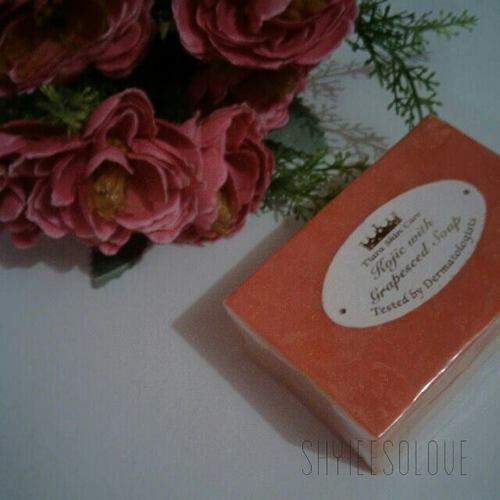 It actually doesn’t melt easily like other Kojic Soaps, so I can use it as much as I want. It feels fresh when I wash my face, but when I dry my face with a towel, the mahapdi feeling starts. 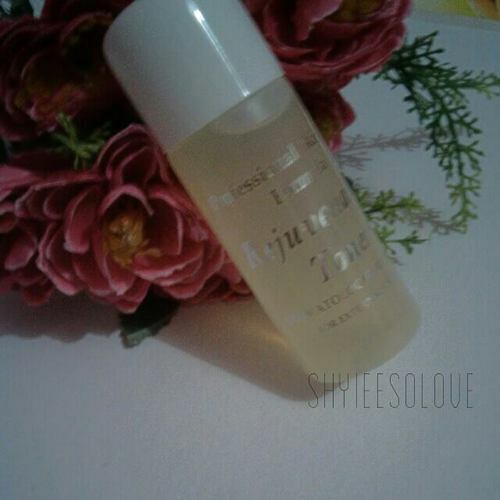 The rejuvenating toner adds the mahapdi feeling o my face that I want to scratch it and peel my skin off. But I have to endure the urning sensation if I want to have a nicer skin. The cream is applied right after the toner, at night. Having the notion that it will have a greasy effect on my face, I only apply small amounts. But it dries quickly so I don’t have to worry about it. It has a sticky consistency, and this whitens the face. The sunblock gel is used in the morning after the routine. 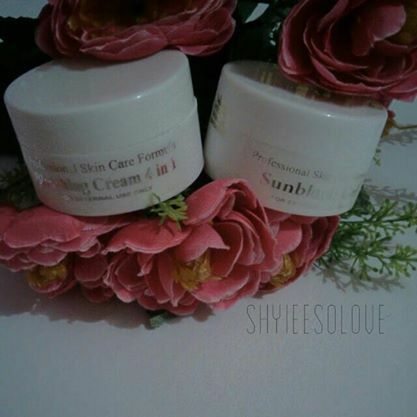 It’s consistency is somewhat the same with the bleaching cream, but this one protects the face on the sun. I have these pimples and pimple marks that I want to remove. Sorry for the low quality photo. During the first week, there will be hard effects on the face. I had little pimples that appeared, and my face looks reddish. This time, the burning sensation worsens and peeling starts. There were white spots on my face, especially on the chin part. I don’t apply any powders on my face yet so I can see how the set really works. Pimples show everyday but it dries the next day so it’s fine. I am receiving several questions from users if it's normal to have pimples or butligs, yes it's normal. The second week’s burning sensation lessens a bit, but peeling continues. I also have the itchy feeling but I control myself from scratching my face. The pimples starts to dry one by one. I attempted to put powders and CC creams one time, and it gave me a super mahapdi feeling, so I didn’t put it again the next day. Also, I have reddish cheeks too. Black heads appears and pores start to open. There would be no peeling and burning sensation, unless you had new sets of acne on your face then you would feel minimal burning sensation on your face. The photo below has no filter and I only used my phone camera. Can you see the difference? I’m very much happy with the result of this rejuvenating set. You can use a different sunblock gel or cream with higher SPF to protect you from the sun. The bleaching cream whitens the skin but you need to have less exposure to sunlight as it may cause irritation due to the heat. Right after the rejuvenating set, there is a "clarifying set" that you need to try, but as for me, I didn't continue using as I am already happy with the result. 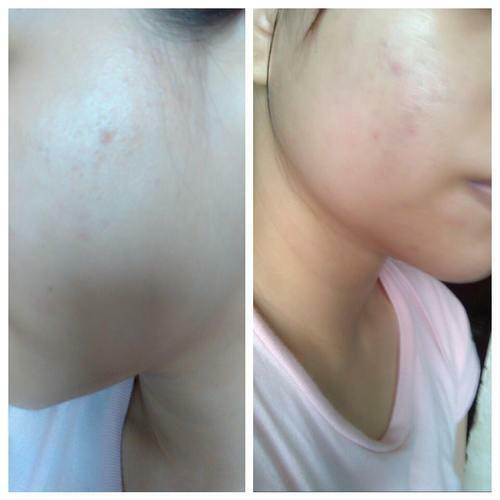 Pimples still appear after usage, it is very minimal unlike before where I get lots of pimple marks. It is also advisable to have a facial treatment so that your dermatologist can advise you whether to continue usage or not. It is okay to stop using the set if you feel that your skin is being damaged. DO NOT USE if you already have a good skin condition, because it will surely give you a miserable break out that you may not be able to cure. Please take note that not all sets sold in the market are authentic. Beware of fakes. 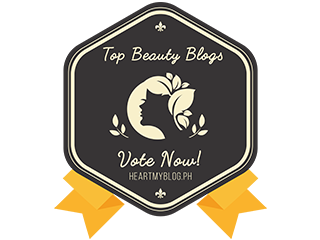 It is better to invest on high maintenance skin care products than settle on this, although it gave me better results. I do not advise to use this if you're under 18 years old as it may damage your skin. Would I recommend this set? Well, it is worth the try, but it depends on your skin type.  Some skin types will react better or worse than I experienced, so I suggest that if you want to have a good skin condition and complexion, you better invest on high-maintenance skin care products. Disclaimer: What worked for me might not work for other skin types. If irritation occurs, it's better to consult your dermatologist for better treatments. Please be advised that I am also a user just like you, I am not a professional dermatologist and I may not answer all your medical concerns. If you think that your skin is being damaged, discontinue use. Such an honest and unbiased product review you got there :) two thumbs up! ate Im using this, mag one month na sa oct 13. Is it okay na habang ginagamit ko sya eh gumamit din ako nung safeguard acne prone? i want to know if you're still using the product up to this time. Normal lang po bang open ang pores tapos dami black heads as in sa cheeks na nakaumbok pa. Mawawala dn po ba to? Bakit po yung sakin sa cheeks :( as in nagopen na open ang pores ko na nagkalaman ng parang black second weeks po sya nagappear third week ko na po ngayon mwawala po ba sya pati yung redmarks? Ah baka di ka hiyang or nasobrahan sa kojic soap. Mawawala yan in a month or after 1 1/2 month. Kasi yung sakin nagwork naman. If hindi mawala, I suggest you consult nalang sa derma para sure. Depends on how often you use it eh. Mine kasi lasted for few days then puro pimples and blackheads. Also on my fourth day. Same prob as mine.. Andami. Zits surfaced more than before using the product.. Then to cover it up i use a sunblock with a higher spf. Kaso feeling q it just worsens my breakouts. Maybe s chem properties d okay gamitin with the set? E sobrang dami i dont know how to cover it up..
Hello po! Ask ko lang po if normal lang po yung nagkakapimples ng malaki during 2nd week of treatment. Worried po kasi ako eh mas dumami yung pimples ko nung nag treatment ako. Mawawala din po ba 'to after treatment? Chaka how many times a day po kayo gumagamit? Hehe thanks po!!! Hi K! I cannot tell if it's still normal. What worked for me may not work for you. If you're already worried, it's best to consult your derma nalang. They can help you with that. Tanong po ulit. Pwedeng once lang po mglagay ng toner? Depends on you. The more you ise it, the more it minimizes your pimples, etc. Grabe ang hapdi sa muka ng rejuvenating set. Normal lng po ba yung parang nasusunog sa sobra init ng pakiramdam ang hapdi po kc. Tas nagbabalat. hi. ask ko lang nung habang nag rejuv. set ka nakakagamit ka ba ng makeup? okay lang kaya mag patong ng make up sa face nagbabakbak kasi yun diba..
pwede po ba to sa 12 years old? Although the kit doesn't come with instructions, I will not suggest it for 12 yrs old or below. Baka masira skin lalo na if wala naman irerejuvenate. Hi ate pwedi po ba ito sa akin?im running 17 na Po ako.meron Kasi akong Rejuvenating facial toner tapos meron din akong dalawang Rejuvenating facial cream gusto ko sana nagtanong Kong pwedi sa akin,baka Kasi hindi pwedi dahil masiyado pa daw ako bata para gumamit ng pang facial,baka Kasi Po masayang lang e.
pag 1st-2nd day palang ng application, pwede po bang gumamit muna ng powder kahit konti lang? kasi sa mga napapansin ko, oily masyaso ung mukha in the first application. 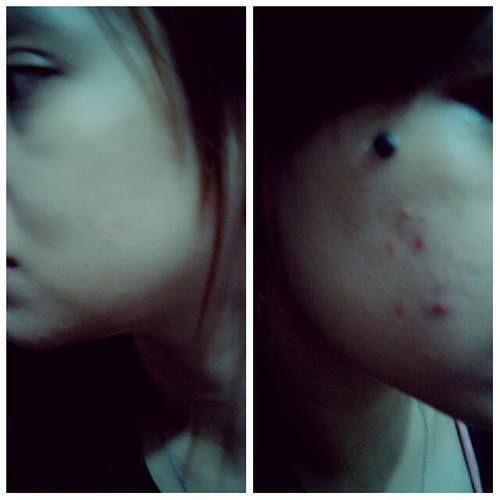 Hi..im using rejuv sey for 5 days n..ask ko lang if normal b na may lumalabas pren na butlig butlig?..nagdadry nmn mga pimpLes pero may tutubo pren..
Nawala napuna mga butlig Nyo ? I'm on my 3rd day yet meron napuna mga butlig den eh .. Nag fade napuba ung mga butlig ? I've been using rejuv set n for 5 days..nagpepeel na and super red.as if prang na sunburn..though knkbhn ako kxe prang dumame ung mga butlig n tumutubo.and my mga pimples prin..do i still need to continue using it??. sabi po lalabas naman tlga yung mga pimple habang gumagamit ng product pro continue lng kcmatutuyo and eventually mawawala naman po..use maintenance set after a month of using po nito. Once a day nlng po ako nglalagay ng toner at bleaching cream, maganda naman po yung results nya, ndi na ko maxado gumagamit ng powder kc kuminis at pumuti na yung face ko.. I noticed my cousin's face changed after using this set. 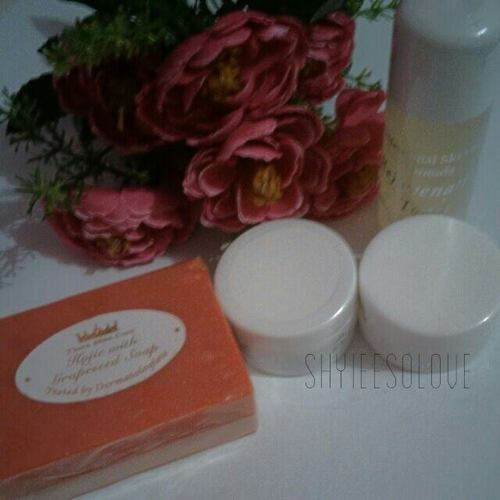 It's quite affordable for a set but not for recommended for everyone if they have a sensitive skin siguro noh. Hi mam, ask ko lang po, after one month of using, paano na po susunod? Tuloy parin po ba paggamit ng product? Thanks in advance. Hi. Meron po clarifying set. But I haven't tried it since ok naman ako sa results after. Hi Noehlla, based on my experience, I can say that it's normal. But if you're worrying too much na, consult your derma nalang para sure. Baka rin kasi hindi authentic yung nabili mong set. Nako sis bawal masyado magpaaraw! Lalo matitrigger yung burning sensation talaga. Always use the sunblock cream before leaving the house to protect. I suggest stop mo muna if it already irritates you. Sakin kasi same feeling lang pero tiniis ko siya, kasi meron rin akong friends na gumagamit rin and they said it's normal naman. It's up to you. Consult your derma if you can. Hi pretty Shy. Pwede ko ba share tong review mo about rejuv set sa online page ko? Hello pretty sis! 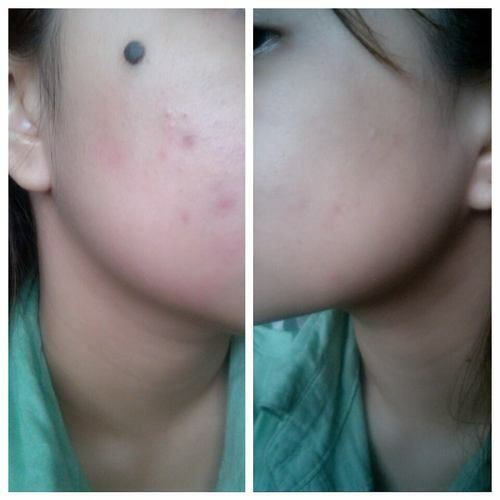 it's my 3rd day using rejuv set by dr.alvin .. ang tigas ng feeling ko .. yung skin ko dry na nag pee peel. is it okay to use ice and rub it all over my face??? can i still use cc cream even just for 3 hours?? Hi, if you use CC cream, you will have a very hard burning sensation, especially if 3rd day mo palang. I tried kasi, super mahapdi siya. As in I deprived myself using face products to see the result. Thank you for this very helpful advice. Im on my 13th day of using this rejuvenating set and right after washing my face with kojic soap I usually put on the toner right away and I just try to bear the stingy sensation on my face. I never thought of waiting for a few minutes before applying the toner.Now I know what's the best thing to do after reading your post. I would like to know what set you used after the rejuvenating set.? Thanks a lot and God bless! hi efec.bayan gusto ko rin mag try kaso natatakot ako baka masira muka ko. Hi! Ito din po ba yung kay Dr. Alvin? Ask ko lang po kung pwede gumamit ng ibang soap, tapos the rest yung nasa set na po? Thank you..
Hi! Ito po ba yung kay Dr. Alvin? Ask ko lang po, okay lang po ba gumamit ng ibang soap while using the rest of rejuv. Set? Yung soap lang po ang iibahin.. thank you po. Pang 3rd day ko now, i feel the burning sensation on my cheeks, pag check ko sa salamin, na mumula mukha ko at nagbabalat. So what I did was I washed my face(no soap just water) and put petroleum jelly on it. My question is, Is the kojic soap needs to apply daily?I just thought of using it every other day to minimize the burning sensation,redness. Is that fine? Or Do I need to do it in a daily basis. Omg.. redness and burning sensation are just a part of peeling kasi.. you dont have to put petroleum jelly kasi baka lalo mairitate yung face mo po. . You have to wash your face with kojic soap two times a day para maachieve mo yung face na gusto mo po..morning and evening po yun.. yung hapdi po hindi dahil sa kojic soap kundi dahil sa cream.. para po kasi syang bleaching cream kaya mahapdi.. what i did is sobrang nipis lang inaapply ko tapos nakaharap ako sa electric fan para medyo mabawasan yung hapdi.. :) sounds funny but it works..
Hi ask ko lang normal lang ba na hindi nag balat ung face.? 3week ko na po ginagamit pero konti lang ung nag balat sakin as in konti lang po..
db start k ng 1 month para sa rejuvenating se..sinundan mu pa ba ng maintenance rejuvenating set??? Hi! I'm on the start of my 2nd week today. I can feel the smoothness of my face though may mga small pimples or butlig na nag appear. I never use the toner from the set kasi di talaga ako toner user. So far, wala naman burning feeling maybe because I didn't use the toner. I just don't like the appearance of small pimples or butligs. Until when kaya mawawala mga yun? Medyo naiinip kasi ako at ayokong nakikita. I'm thinking if I can jump into the Maintenance Set? Will it be safe? Thank you. I have butligs and small pimples too. I am hoping that these are all normal. Gaspang ng mukha ko sana initial reaction lang ng skin yun. Sana mawala rin agad. hi po, just wanna ask. are u still using REJUVENATING FACIAL SET, until now? what happen to me is, when i used the REJUVENATING FACIAL SET it was really effective!, but after 30 days(as what is noted in the product, until 30 days usage)and i shift to CLARIFYING/FACIAL BLEACHING SET and my face is starting to get many pimples once again in my 10th day! and it freak me out! is it normal?! i thought it will maintain the effect of rejuvenating... but what is happening right now is an opposite effect. ughh!!! should i stay on using rejuvenating instead of clarifying?? any suggestion? Hi! 2nd day ko using the maintenance set, naglabasan mga pimples and parang ang gaspang ng mukha ko. Normal lang ba ito? Me mga butlig rin na maliliit. Medyo nagbabalat rin sa me chin area. So irritated talaga ang feeling. I hope this is all normal. Correction, not maintenance set, rejuvenating set pala. Sorry, rejuvenating set pala hindi maintenance set. Same thing as mine! Im on my pa-thirdweek na sana pero napansin ko na nagkaron ako ng butlig butlig, sa side ng face ko going inwards natakot ako so i stopped, yours sis? Tinuloy mo p ba? Hindi ko na tinuloy sis, thank God medyo nawawala na yun butlig. Nag PM ako sa seller, pinakita ko yun mukha ko sa pic, sya nagsuggest na magstop na lang ako at baka nga allergic ako. Ginagamit ko na lang is yun soap at yun sun block. nag stop na din ako ,.. safeguard na ginagamit ko sa face , natatakot pa ulit ako gumamit ng soap kasi yun din daw kasi yung nag-oopen ng pores ..
maganda poyung effect sobra kaso after 30 days yung nga bigla ako tinigyawat so tinigil ko sya agad and hindi na ulit ako gumamit. pero maputi pa din naman face ko pero ngkaron nga ng malilit na pimples and marks . so bumalik na lang ako dun sa dati ko ginagamit. Hi po. ask ko lang if normal lang na mag dry yung skin? pang 3rd day ko na po gumagamit ngayon. Nagbalat na po yung right part ng cheeks ko kaso napansin ko ang dry niya :( parang ang rough kapag hinahawakan. normal lang po ba yun? PLease reply. After using the rejuvenating set what are you sing now? Im quite confused on what to apply next after rejuvenating set because there are some mixed comments. Some said to use the clarifying set others the maintenance set so which do you think is best? ASK KO LANG KUNG PAG TINIGIL PA ANG REJUV SET AFTER A MONTH OR PAG NAKITANG OK NA HINDI NAMAN SYA MAGPEPEKAS?OR MASUSUSNIG KAHIT WALANG MAINTENANCE SET? Nmaga po ung pisngi ko tsaka ang kati.. nmumula pa. help po Pls. More on whitening talaga siya because of the bleaching cream. Is it okay if i'll use the toner only? hi . gumamit po ako ng rejuvenating set last september kaso after a month bigla po ako ngka.pimples so nag stop ako .. ngayon ba pwede ulit ako gumamit ? Hindi po talaga siya magddry kasi lalabas talaga pimples by using kojic soap. Ano po nangyari sa face? Di ko masyado nagets. Hello po. Im using the set for almost 3 weeks,pero nagkakapantal at brown,brown na parang sunog tapos namamalat so pag naglalagay ako ng tonee ang sakit as in,super then abg daming maliliit na butlig sa buong mukha ang kati kati. Normal pa po,ba to? Hi Sharlene. Any update sa mga butlig butlig mo sa face. Nawala na ba? And pang ilang weeks? Meron din kasing naglabasan sa akin e. Thank you. any update po sa mga zits nyo?? mag 3rd week na din ako kaso may lumalabas pang blackheads at pimples na maliliit?? Hello po..3rd week na po ako gumagmit ng rejuvinating set pro hindi po pantay2x yung puti sa face ko sa cheeks lang yung maputi.ano po ba gagawin ko? My friend used the clarifying set right away instead of rejuvenating set muna, is that okay po ba or is it too strong? She is on her 3rd day and her skin is normal, peeling and reddish cheeks only. I didn't use also the rejuv set, clarifying set na kaagad.. okay naman, hnd halata yung pagbabalat. 1 month q na ngaun. Sa 2nd week palang ay kita q na gumaganda kutis q. nawala yung dark spots, naglighten na rin yung pimple scars, kaso reddish yung kulay nung pimple scars..
hi.. okay lang po ba gumamit ng ibang sabon instead of kojic pag gingamit yung rejuvinatig set?? ang ginagamit ko po is ung st. ives apricot scrub..
hi po..ask ko lng po hnggang kelan po ung redness ng mukha ko kc po i'm on my sixth day po ng pggmit ng rejuvinating set kc meron pong mga spots s mukha ko n mpula tpos mahapdi n prang nbburn specially s my chin ko? ?is it normal po b? ?should i stop using it?? hi po..ask ko lng po kng hnggng kelan ung redness ng mukha ko kc im on my sixth day of using it and meron pong mga spots s mukha ko n sobrang pula at mahapdi n prang nbburn specially s my chin ko? ?is it normal po b or should i stop using it?? What to do po for red marks after using this set? hi, ask ko lang if kailangan ba gabi gabi ang pag apply nung rejuvinating set kahit ngbabalat ung face? kailangan ba kuskusin nung toner ung pagbabalat ng face? thanks. Sana masagot mopo kasi kka start ko plng gmamit. Hello ,ok lang po bang gumamit nito kahit 16 pa lang? ang galing naman po ng results sayo,, sakin nagbabakbak until now, 2nd wk ko nah. any advise?? I just want to share my experience using this set. And I must admit I don't have any regrets trying this product! I've been using so many products for years but ending up having regrets. But this is really different! Day 3 - eto yung day na gusto ko ng tumigil kasi halos namamaga na ang mukha ko, sobrang hapdi and nag start na mag peel, so I googled some reviews and they said normal daw to, so i continue using it. Day 4 - yung tipong ayaw mo na dumating yung oras na mag apply ng toner kasi sobrang sakit talaga, i cannot tolerate the pain lalo na sa soap so i tried using cethapil. I stopped using the soap. Sobrang visible na yung pagbabalat ng face ko. Nakakahiyang pumasok sa office! 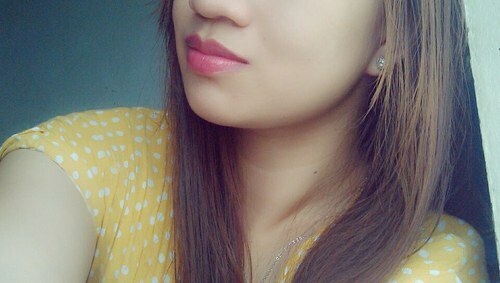 I hate that feeling na halos lahat nakatingin sa yo wondering what happened to my face! Day 6- Pain was still there at yung burning sensation grabe talaga! But i noticed na kapag nakatapat ka sa electric fan while applying the toner medyo nawawala yung sakit. As in try this guys and it really wroks! Yung tipong 4 inches na lang ang layo ng face mo sa electric fan! Day 6- nawala na yung redness, napalitan ng pinkish glow, medyo peel ulit, second peeling... Buo buo na yung pagtatangal nya esp sa part ng may bibig. Day 7 - pain was there but not as painfull as Day 3-5. Tolerable yung pain at napapansin mo yung difference ng skin mo, nag gglow talaga at kumikinis. Day 8 - i tried using the soap again. Pero during day time lang. Then sa gabi cetaphil ulit. No pain at all. Dry lang ang skin mo but still better than my skin before. Day 9 - konting konti na lang yung pag peel nya at pag dry nya. Tips: dont rub the cotton. As in dampi dampi lang. Yung tipong parang binasaba mo lang ng toner yung face mo. Do it while in front of the electric fan :). Don't use the soap for 3-4 days and replace it with super mild soap. Hello! Pareho po tayo ng experience. Pero yung 2nd week ko naglabasan ang whiteheads at blackheads, normal pa ba yun? Hi. I've been using this for a month now and yes, those little pimples I have on my forehead had meet their ends. I am about to purchase a new set. I am just a little confused on what set to buy. Did you advance to maintenance cream after the rejuvenating? hi pang 10 days ko na po gumagamit ng rejuv.. nag labasan po un pimples ko black heads and white heads nakakairita na sa pakiramdam huhu.. normal po ba un? itutuloy ko pa po ba? mag 3rd week na po ako of using this product but may mga zits and blackheads parin na lumalabas, is it normal? Dampi and dampi lang po ng toner, wag idiin and I suggest gumamit ng cotton pads o di kaya toning pads instead of cotton balls. and if talagang sobrang hapdi na sya, use the toner every other day. Normal po na di nagbabalat yung skin? Walang peel na nangyayari im on my second day. H! Pwede po bang gumamit ang 13 years old nitong rejuvenating set? Pwede po bang gumamit ang 13 years old nitong set? hello po..pano po malalaman na authentic ung product. dami kasi naglabasan eh. Tapos na ako with the rejuvenating set. Now, nasa clarifying set ako pero parang walan epekto. May breakouts na naman ako. Can I use the rejuvenating set again?? i been an avid user of this products for 2 years and it really works on me,i had a more acne free face and more tighten pores! Anung effect ng clarifying set? is it normal pa rin in 10th day of using rejuvenating set nagkaroon po ako ng pimples? please reply. is it normal pa rin ba in 10th day of using rejuvenating set nagkaroon po ako ng pimples? - Hello Guys :) Almost 2 Weeks Na Ko Gumagamit Ng Rejuvenating, Pero Napapansin Ko Lang Namumula Lang Ako At Nangangati But About Sa Pagbabalat Ndi Ko Naman Siya Naexperience. Anu Ba Dapat Ko Gawin Lalo Ngayon Sobra Pula Siya Na Parang Na Sunburn? Normal Pa Ba Un?? - Hello Guys :) Tulad Ninyo Gumagamit Din Ako Ng Rejuvenating. Almost 2 Weeks Na Ko Gumagamit. Tulad Ninyo Namumula At Nangangati Lang Ako But Ung Pagbabalat, Ndi Ko Siya Naexperience. Anu Kaya Dapat Kong Gawin Kc Sobrang Namumula Na Ko Na Parang Na Sunburn. Normal Pa Ba Un?? Normal lang po ba na mag ka pimple while using the product ? Hi. ask ko lang po mga ilang days po ang processing nang papeel ng balat sa mukha? kse nung 3 days po nag start na sya mag peel pang 4 days ko na po ito. Thank you. Im male po 18 yrs old, pwede po kayang gumamit? Naeexpired po b ung rejuvenating toner??? 3rd week ko na siyang ginagamit and I found out na pumuputi po ung skin Ko pero Medyo red parin after maglagay ng toner, pero andaming butlig butlig na Tumutubo sa noo, at sa kabilang pisngi ko gang tainga at mga pimples sa baba Ko.. Malapit na akong matapos sa 1month should I stop using this? 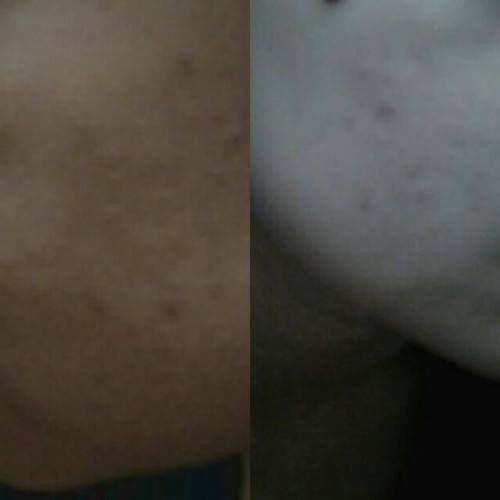 Malapit na akong matapos sa 1month using rejuvenating set, pero Bakit andaming butlig butlig na Tumutubo sa noo at kabilang pisngi ko at pimples sa baba Ko. Should I stop using this? Papalitan ko na Sana ng silka soap at eskinol with dalacin C aT ponds cream after that Johnson's baby powder. Okay Lang ba yun? After ko gumamit nung rejuv set sa first night grabe na siya nag peel off the next day kaya di muna ako gagamit after nun kasi magpapa araw pa kami, so one time ko lang nagamit yung set pero nag pipeel off pa rin siya kahit ngayon 3rd day na since nag stop ko na siyang gamitin. Tapos plano ko gamitin ulit yung set after 5 days kasi wala na kaming outing so hindi na kami maaarawan masyado. Mag pipeel off ba ulit if gagamitin ko siya? or wala nang effect yung rejuv set kasi nag stop ako right after the first night? hello maam.. okay lang po bang gumamit nang clarifying set without using rejuvenating set first? i am user of this product for the past few months and then i stop. wala namang nangyari. pero this time kasi nagka pimples ako. so i decided to use clarifying set instead of rejuv. Hi pwede ba syang gamitin ng 2 beses? Na try ko na din to sis kasi ni recommend ng isa sa mga mommies don sa school kung saan pumasok anak ko. Effective talaga siya. Natry na namin yang ganyan na product. Effective talaga siya. Nakakaputi at nakakatanggal ng pimples. Pero wag lang magpapaaraw. Nice review maam. Na try ko narin to dati. Yes effective talaga siya pero yung sa akin lang nag oil talaga ang skin ko kapag gumamit ako nito. Pero carry naman.